Chelsea have been linked to a sensational move for Juventus centre-back Mattia Caldara according to reports from Italy. The Blues are reportedly turning their sights to the player as Juventus continue to deliberate over the transfer of teammate Danielle Rugani. The Turin outfit have reportedly offered the Blues the chance to sign Caldaria instead of Rugani. Caldaria is perhaps unknown outside Italy but is highly rated within Italy. Dortmund and Milan are reportedly monitoring the player as his stock rises in Italy. The 24-year-old is yet to make an appearance for the Bianconerri despite being contracted to the side having spent the last two seasons on loan at Atalanta. Caldara established himself in the club helping the Bergamo outfit to their best stint in Serie A. He was influential in the 2016/2017 season as Atalanta finished an unexpected 4th position in the league. Caldara was also a standout performer as the club made it to the Europa League last season. 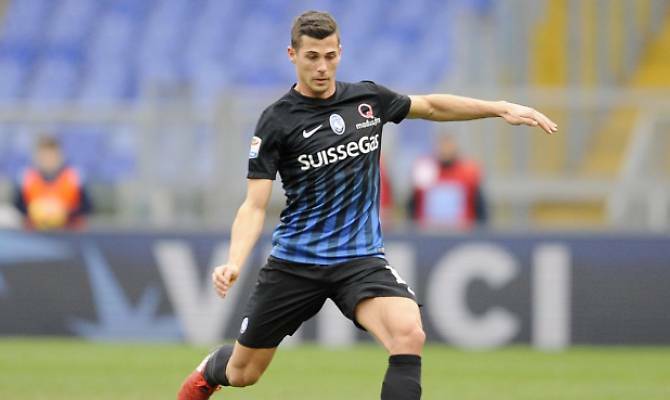 Comfortable on the ball and possessing good positional awareness, Caldaria would be an ideal fit for the Blues as Maurizio Sarri looks to ditch the 3-4-3 formation used under Conte. However, he won’t come cheap as Juventus have set an asking price of £40 million for the 24-year-old. It remains to be seen if Chelsea would make an official bid for the player but this news would be one to watch closely over the coming days.